To check out library materials you must present a current, valid picture ID at the Checkout Desk or use our self-check out next to the Checkout Desk. You can also authorize another person to check out materials on your behalf. Need more time? View the items you have checked out in your library account and see if they can be renewed. Found an item but it is checked out or you don't need it until later? 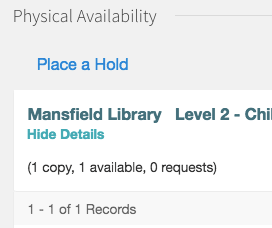 Find that item in OneSearch, log in to your library account, and place a hold. We'll contact you via email when it is ready. 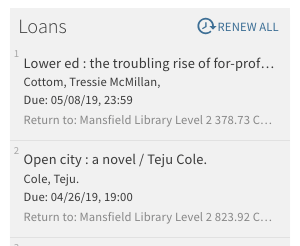 View fines, cancel requests, and more using your library account. When logged in, you can also save searches and found items in your My Favorites. 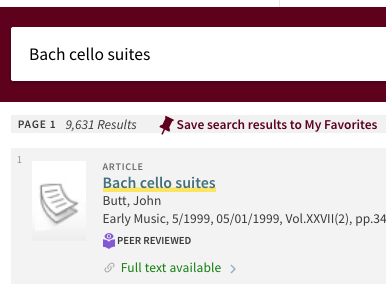 Items saved in My Favorites can be labeled and exported in batches to your citation manager, printed, or emailed. The Checkout Desk is located near the front entrance of Mansfield Library at the Information Center. The Checkout Desk checks out, shelves, and retrieves materials and group study room keys. We search for missing items, assign study carrels, set up rooms for events, organize and lend Course Reserve materials, schedule videos for classroom use and post syllabi. 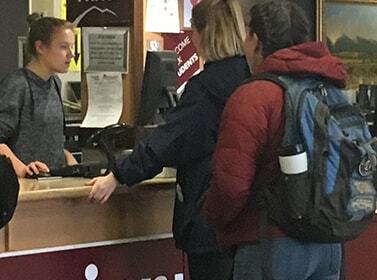 For more in-depth information about fines, damaged materials, etc., read the full policy or contact us at 406-243-4071 or library.circ@umontana.edu. A check out agent is authorized the check out materials in another person's name. If you would like to authorize someone to check out materials using your library account please fill out the Authorize a Check Out Agent form. The Checkout Desk and Tech Support are both located at the Information Center. The checkout period and overdue fines apply to all users. Items with an asterisk (*) can be checked out by Montana Borrowers. Please give us a call at 406-243-6866 if you have questions. Looking for a certain piece of software? View our Equipment and Software A-Z list.